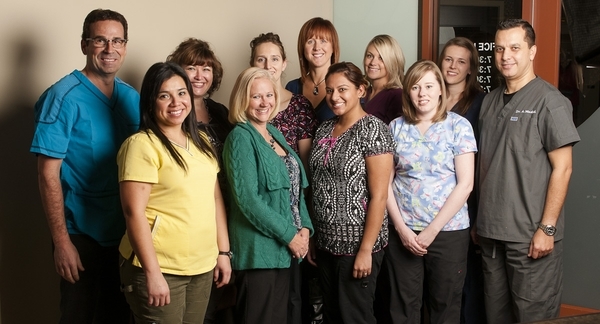 Nancy - has been working in our office for over 10 years and has over 20 years experience with dental reception. She is married and is a very busy soccer mom of 3 children. Christina - Christina has joined our practice this year and brings with her years of experience in dental administration. Marisol - has been assiting for about 18 years and has spent more than 10 of them with us. A soccer mom who drives, coaches and plays. Colleen - has 10 years experience and joined our office 7 years ago. She is a mom to 2 beautiful children. Rhiannon - has been with us since graduating from NAIT in 2008, and loves to travel. Dominique - has joined our practice as a new Certified Dental Assistant. Seema - joined our office after graduating for U of A 11 years ago. Seema is married with 2 lovely children and loves to travel. Rylee - joined our practice this year in 2018, after graduating from U of A in 2015. She loves family/ friends time and some travel when time allows. Suraiya - joined us at the end of 2017 while finishing her degree program at U of A. She loves travelling and spending time with family and friends! Nadine - is a dental assistant with over 26 years experience (24 of those years with Dr. Coulombe) and has taken on the role of managing the office for the last 14 years.